For more than a decade they were a dramatic sight in the skies over the north of Scotland. 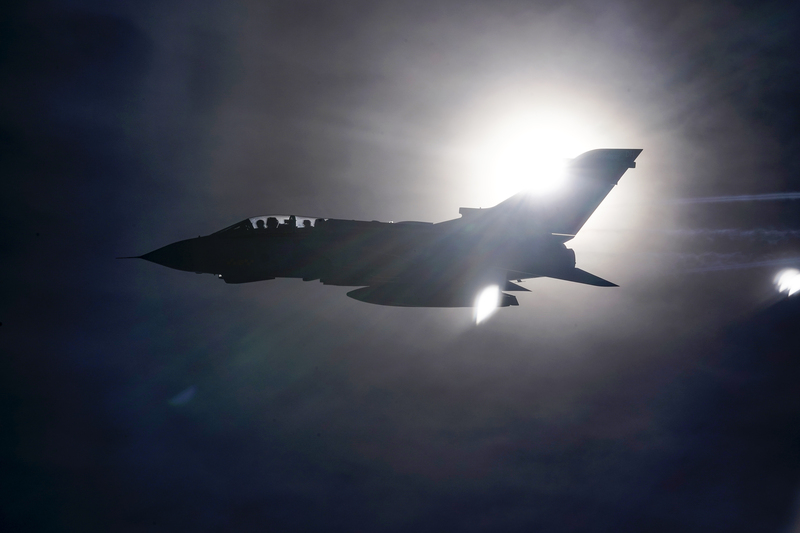 From their base in Moray, the Tornado squadrons were sent to conflict zones and peacekeeping missions around the world. The iconic aircraft and their crews have enjoyed decades of success at the forefront of the UK’s airforce and have played a key role in the prosperity of Lossiemouth. And yesterday crowds gathered to pay them one last fond farewell. The are being retired from service – to be replaced by a new generation of fighter jets – bringing an end to a century of service, with the squadrons nationwide having their beginning as famous institutions such as the “Dambusters”. 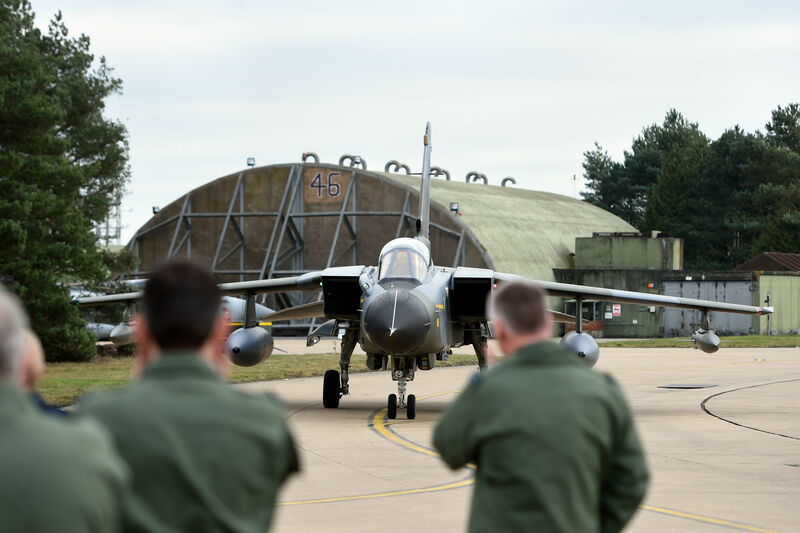 The GR4s from RAF Marham had been passing over military bases and other locations in Scotland, England and Wales during a three-day farewell. Yesterday was their last day, and the three Tornados flew over RAF Leuchars, Tain and Lossiemouth to allow the indebted locals to say one final goodbye to them. Hundreds of people set up camp outside the Lossiemouth base to make sure they got a good view of the once-in-a-lifetime event. The Tornados were even joined by some special guests, as Typhoons from the base flew beside them as a sign of respect to their legendary comrades. 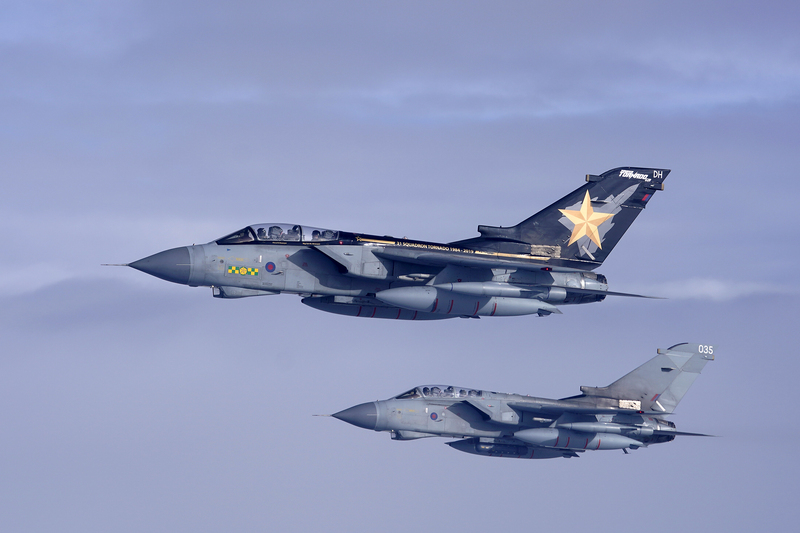 The north was also given the honour of a flypast, at the bombing range at RAF Tain, in Ross-shire, which has a long history with the Tornadoes. Tain is the largest live weapons range in the defence training estates and RAF Lossiemouth have long been primary users of the range, though it is also used by Nato. Veterans were among those who gathered to watch from outwith the range’s boundary. James Johnston, the last serving station commander at RAF Kinloss, said his own goodbye to the Tornado and paid tribute to ” a great workhorse”. He said: “I used to work closely with the Tornados and they were great workhorses for the RAF to defend the United Kingdom with. “They were really versatile and allowed the UK to fight above its weight across the world. 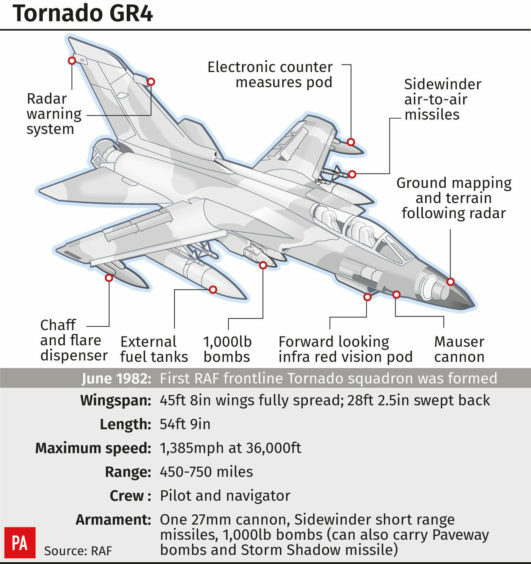 The Tornados first came to RAF Lossiemouth in 1993, before being disbanded in 2017 due to the impending arrival of new advanced technology to the base. Typhoon jets are currently the first line of defence in protecting the UK from Russian intruders. A Tornado GR4 piloted by Chief of the Air Staff Air Chief Marshal Sir Stephen Hillier at RAF Marham in Norfolk, after completing his final flight ahead of the aircrafts retirement next month. Between January and the end of November last year, they launched six times to track Vladimir Putin’s planes. A £400 million expansion project is currently under way at the Moray base . During 2020, nine submarine-hunting P-8 Poseidon spy planes will join the fight to track submarines lurking under the surface of the North Atlantic.